Glad to have you back for this week's IBM i Pulse! Each week we'll take a deeper look at the latest IBM i and Profound Logic news. 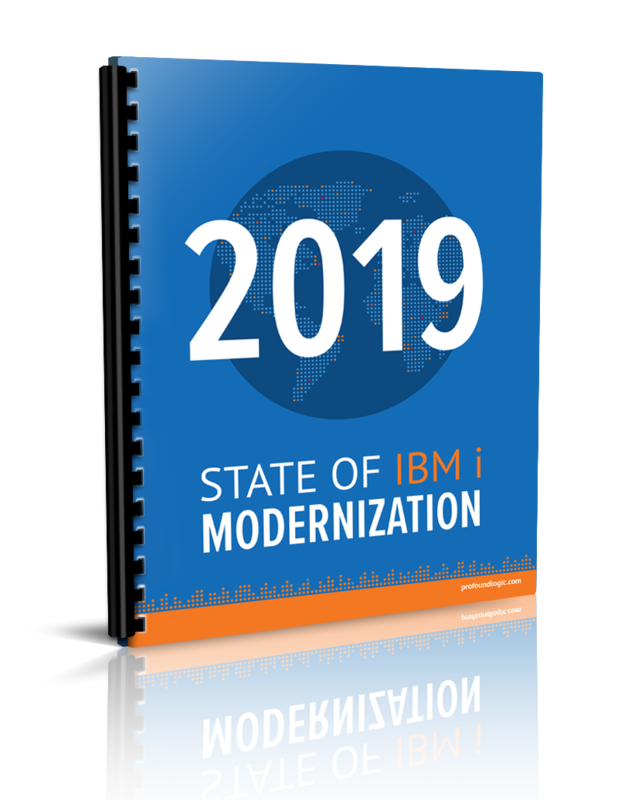 This week we are looking at an interview on security within the IBM i and a strategic look at application modernization. Alex Roytman recently wrote a piece on Building Real-World Cognitive Solutions for the latest COMMON Connect article. Here is a quick Intro to Profound UI DDS Conversion tool. Learn The 4 Fundamental Concepts of Using Profound.js and Node.js on IBM i. This Profound Pro Tip discusses the Using Your IBM i Tables with NodeRun. Profound UI Version 6 has a new Fix Pack 2.1 that is available now! "The word I use is securable, and when I paint a picture for people what I do is typically show a padlock that is open and a padlock that is closed. They are both capable of being secure but one takes some effort to get it there and that's us. That's our platform is in that unsecured state." "Because really what it is for me is exactly what you said. We're still in a mindset that this is AS/400 running on a green screen. And so our approach to security is based on that era, right? And there's a lot of discussion about what is the current name. People still like to call it AS/400 despite you know of course, the fact that it's not but the reality is a lot of us are still running green screen applications, but we access the data in other ways. And so we have this environment that is defined with menus, command line restrictions and everything like that, but the reality is I can go straight into the database with a SQL statement." "We all complain that this thing was proprietary and there was all this valuable intrinsic business data there that we wanted to access and make good business decisions from, but as we open those doors, certainly there has to be some expansion of how we secure it. " Application modernization can be a daunting task, especially if you don't know where to start or what strategy is best for your company. Creating a plan of action designed to support your application modernization effort is important to do before you begin. In this article, Joseph put together a list of high-level actions that are needed for you to begin your application modernization project. Sources and Methods - When you do a study, even an informal one, it’s necessary to gather a large enough sample so that the data you discover can inform your work. What's a Strategy and How is it Developed - A strategy is a policy that describes the plan to move forward, the strategy describes the way that the handling of an application’s modernization is going to play out. Thought Leaders - Technology companies, industry-focused consultants, and technology firms can assist you in developing an application modernization roadmap.